I hit a wall a couple weeks ago. I don't mean a "Man this wall is high and hard to get over" kind of wall. I mean a "Holy crap. This wall extends upwards into infinity and I will, never, ever find a way to get over it" kind of a wall. I'm not prone to anxiety generally (with one notable, and fairly comedic exception, but that's a subject for a different post), so I didn't deal with this well. I wanted to hide in my bed and do nothing. I stopped writing. Cold turkey. I didn't write a word. I didn't even open the doc. I stopped critiquing. Cold turkey. Left a dear, wonderful CP hanging high and dry without an explanation. I stopped reading. The last time I "stopped" reading, I was thirteen and in high school and stopped out of willful disobedience. I had decided to stop attending my writing group. I couldn't imagine how I could face them - I was such a fraud. I wasn't a writer. Not anymore. I'd failed too often and for too long and too spectacularly and I had NO RIGHT participating in the creative process, not for any reason. Then God intervened. My Heavenly Father loves me, and he wants me to use my talents, so he put a lot of voices in my head and a lot of influences in my path, all on the same day, to jump start my writing passion again. OF COURSE it won't work out at first. DUH. 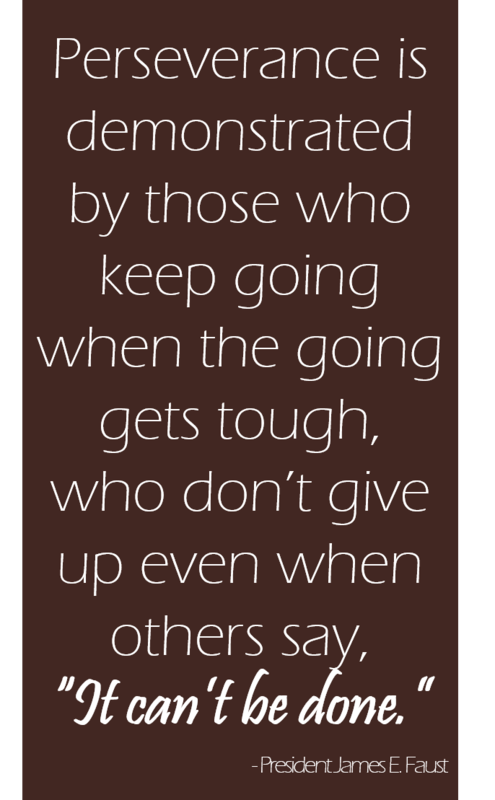 Nobody succeeds right at first, nobody gets it right the first time. I didn't get it right the first time (or even the hundredth time) I rode a bike or baked a cake or tried to be a good friend. Why would writing be any different? And did I expect this to be a boring, linear progression? I set out on an adventure, and then I got mad when the journey delivered. Second, I read a post by Jen** of EPBOT (and CakeWrecks). Her words pierced my very soul. She was specifically talking about the rage-quit that comes with video games (You know - you get so mad that you throw your controller on the ground and disconnect the game, stomping off and declaring you'll never, ever play, ever again... yeah. That one hit too close to home), but she was applying this behavior to all other aspects of our lives. She continued, "I let myself be overwhelmed by the mountain instead of focusing on my feet, and I worry more about everyone's expectations than the experience I'm gaining from my "failures" right here, right now." Because we all know you're gonna go back in and reconnect the game tomorrow, and that you'll beat the unbeatable boss next week, once you've gained a little perspective. By this point, I was ugly-crying and really knowing that God was speaking directly to me. All these words had been put in front of my eyeballs on the same day; it wasn't a coincidence. I should say: the day this all was put in front of me was Thursday. Thursday is the day my writing group meets. I wasn't going to go, I was planning to hide in the dark and lick my wounds. But my good friend, Katy, texted me. Not with a "Hey are you going to ANWA tonight?" text, but instead a "I'll be at your house at 6:30" text. She didn't give me a chance to say no. 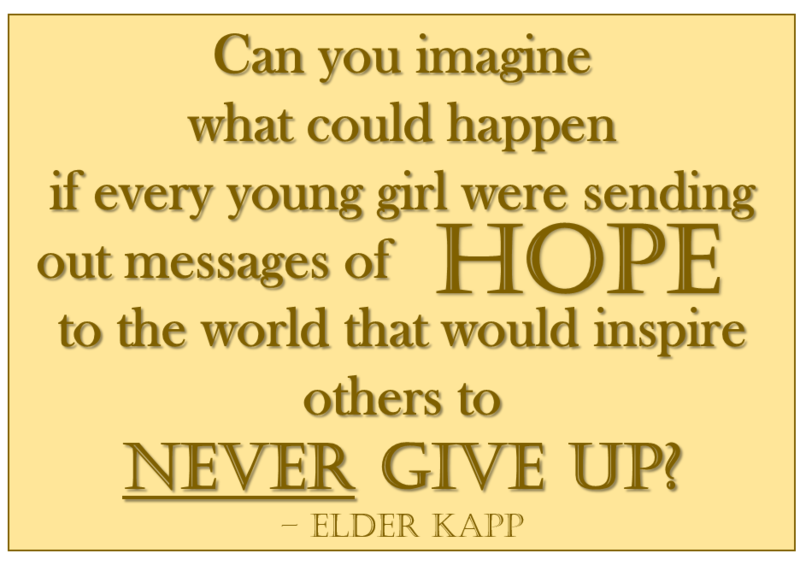 And the women in my group did exactly what Elder Kapp asked them to do - they sent out a message of hope. One sister presented a beautiful essay she wrote and will submit to a magazine. Another announced she had a very successful pitch session, in which her full manuscript (series!) was requested enthusiastically. They stood as beacons of hope. They picked me up when I couldn't do it for myself. And that's what this writing community is for. To pick each other up, to help us pick ourselves up, and to bring each other to success, whatever that means. PS - you can pin all these quotes to Pinterest, if you're into that sort of thing. And honestly, who couldn't use a little bit of encouragement spreading around the internet? 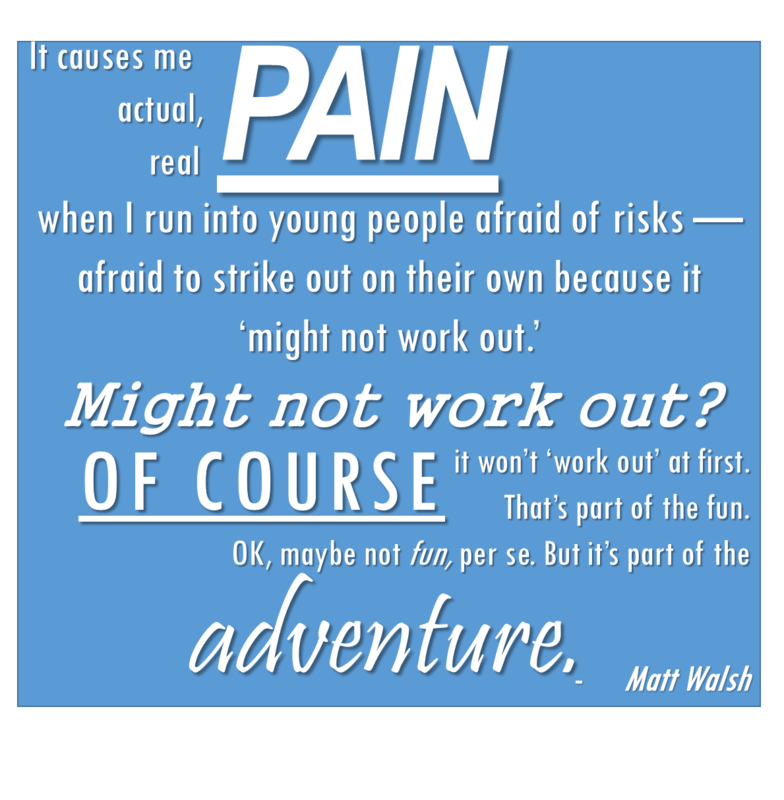 *I can't heartily recommend Matt Walsh. He's extremely politically conservative and very, very rude most of the time. Read at your own risk. ** I can, and do, heartily recommend Jen. You've probably seen CakeWrecks sometime in the last ten years, but you're less likely to be familiar with EPBOT. If that's the case, I recommend you read it. It's an excellent blog, full of a wonderful blend of uplifting, funny, informative, crafty, geeky, DisneyWorld posts. *** Of course I recommend the General Authorities of our church. President Faust is one of my very, very favorites. The full talk is available on LDS.org. I wasn't familiar with Elder Kapp prior to reading this talk (it was given in 1986, so that was a bit before my time), but you can read his full talk, also on LDS.org, though there is not a video of it. Because... 1986. This is just as inspiring hearing (reading!) it the second time. Thanks for these words. I know there are many who need to hear them, no matter where they are in the creative process, or even the life process. 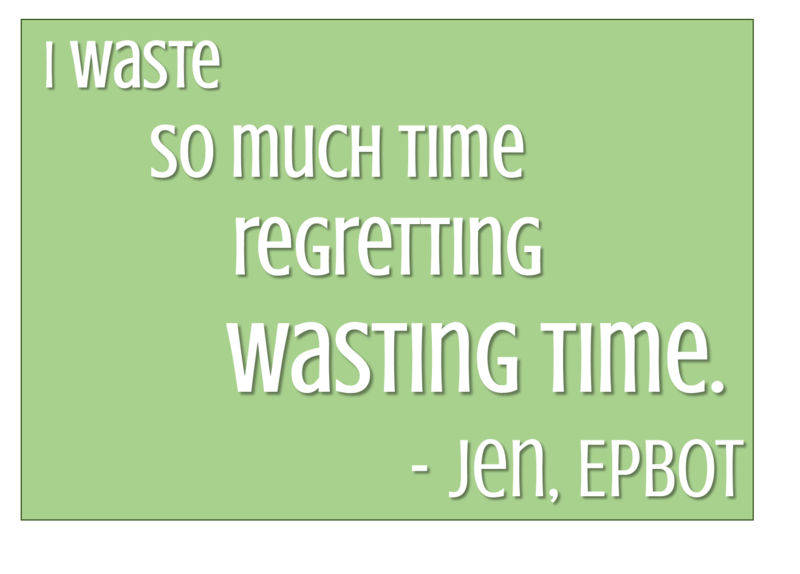 And I second that recommendation for Jen and Epbot. It is such an UPLIFTING blog and she is so funny and talented and how could anybody NOT like her? Thank you for sharing this and making me cry, you lovely jerk. 😊 I'm going to be a broken record, but I hope nothing ever makes you doubt yourself like this again and that you keep being my friend no matter how obnoxious my opinions are. She is incredible. Even when she's being instructional, I just love the way she writes. I lived in Orlando for a while and desperately wanted to become friends with her, but it never happened. "Lovely Jerk" is my new nickname.